developer game lokal menuai prestasi di kancah internasional. Salah satunya adalah Lentera Nusantara dengan judul game Ghost Parade, yang sudah dilirik publisher kelas dunia yaitu Aksys Game. INDUSTRY.co.id - Jakarta - Creative Economy Agency (BEKRAF) encourages Indonesian game developers to compete internationally. Because, the video game that is the sub-sector of the creative industries of the country promises great opportunities. The results of research from the global game industry research institute, Newzoo, said that the Indonesian gaming market has about 43.7 million gamers and potentially generate revenue of up to US $ 880 million (approximately Rp11, 9 trillion) for the industry in 2017. This potential places Indonesia 16th in the list of the largest gaming industry in the world. 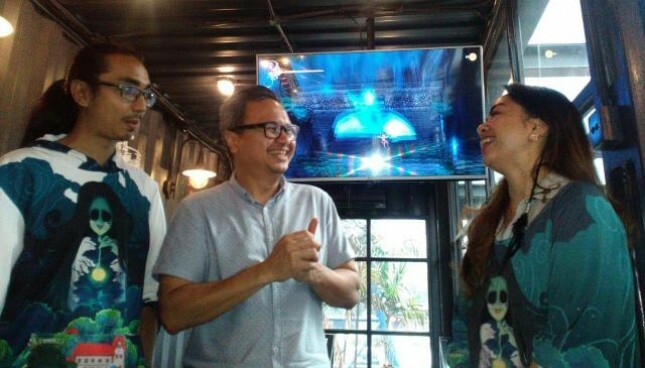 Deputy Marketing Joshua Simanjuntak said BeKraf acknowledged despite having a large market share, the national gaming industry is not necessarily ogled investors both local and foreign. "We have not headed there yet. Indeed investors are still not there. But we facilitate this game developer to meet with the publisher. Well actually this publisher is also an investor for them but maybe in other forms, "said Joshua in coffee together with the media Saturday (14/7) afternoon. According to Joshua, when a game developer has found a publisher then the game can be released in various platforms. Joshua pointed out recently that his party has facilitated game developer, Lentera Nusantara, to advance in the 2018 America Connection Game event. As is known, the homeland game developers from Lentera Nusantara under the title Ghost Parade, ogled world-class publisher is Aksys Game. Publisher will release Ghost Parade around the world in various platforms, including Nintendo Switch, PlayStation 4, and PC via Steam in 2019. As a musical accompaniment, Ghost Parade is accompanied by a blend of Banyuwangi gending and harmonious harmony of the archipelago, as its original identity.